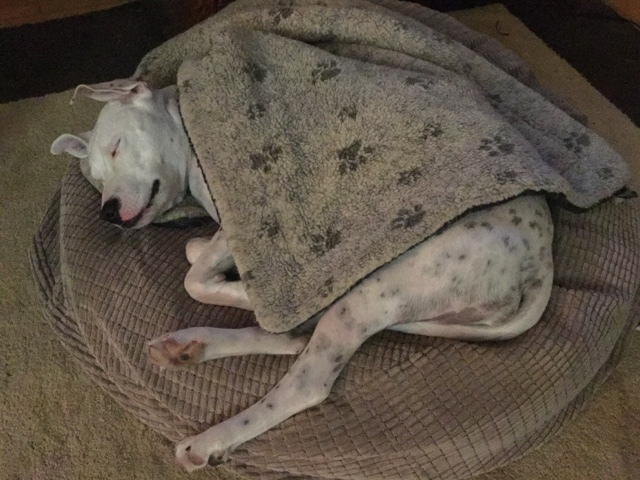 Shadowfax the deaf pittie mix snuggling hard against the North Dakota winter. She spends a decent amount of time here in her cozy slumber ball and warming blanket. I you want to check out the slumber ball bed or reflective warming blanket for your four legged friend there are links. 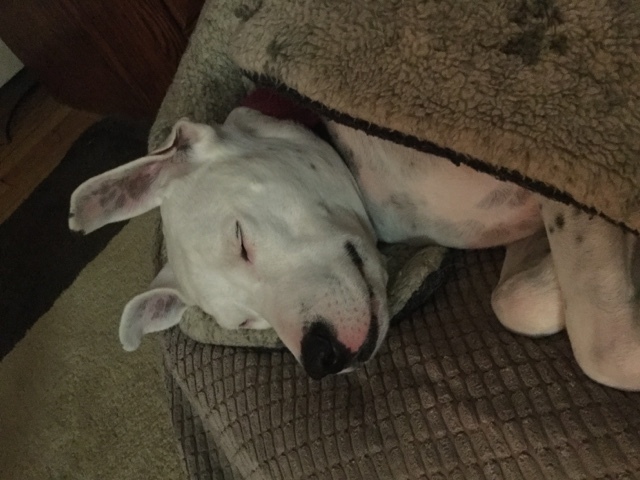 In many respects Shadowfax is a stereotypical pittie (or pittie mix) - lazy as all get-out. If you want to know what a pit bull dog is like, here it is. That is the happy face of a dog that shall always have the finest things in life.